Camping Au Soleil d'Oc is een camping in Argentat, Corrèze, gelegen aan een rivier/beek. Deze terrassencamping heeft plaatsen met afbakening, met schaduw, zonder schaduw en met enige schaduw. Camping Au Soleil d'Oc ligt nabij een kiezelstrand. Er is mogelijkheid tot het huren van stacaravans, trekkershutten en bungalows. De camping beschikt over een speeltuin en sportterrein. Voor de sportieve vakantieganger heeft de camping verschillende fietsroutes. Er is een animatieprogramma. Voor wie na een drukke dag wil ontspannen is er een whirlpool aanwezig. De camping beschikt over een buitenzwembad, verwarmd binnenzwembad en peuterbad. In de nabije omgeving kunt u zwemmen in de rivier/beek. Bij Camping Au Soleil d'Oc is het toegestaan om te wildwatervaren/kajakken/raften. Koken hoeft niet altijd, want op de camping is een snackbar, pizzeria en restaurant (kleine kaart) aanwezig. Op de camping kunt u ook terecht voor vers brood. Het is mogelijk om te internetten, want er is een wifipunt en op 80% van de camping kan men met de eigen laptop internetten. "Camping aan de Dordogne met plaatsen aan het water. Alle services aanwezig en in de zomer animaties. Veel te zien in de omgeving qua natuur en cultuur. Ook zeer geschikt in voor- en naseizoen voor liefhebbers van rust en ruimte. Op 4 km van het pittoreske Argentat. Met verwarmd overdekt zwembad." Pluspunten - The campsite is in a lovely part of the Dordogne just a short drive form Argentat and all this small town has to offer. It’s a peaceful site and definitely a place to relax. Minpunten - There were elements of the site that needed some maintenance, including the outdoor pool which had several broken tiles. The lack of toilet seats is off putting and really needs to be addressed. Arrived in low season, proprietor very slow but helpful. Campsite is lovely off season when we were here, very quiet. Canoes available to hie on site but beware as white water and submerged boulders on the 10 mile trip down! Best thing on whole site was the swimming pools, outside one immaculate and varying depths for non swimmers. The inside one was magnificent and one for serious swimmers as quite deep. Generally we found the facilities clean and well maintained especially as it was end of season. Bread and croissants and Pizzas can be ordered daily but non existent shop available so make sure you stock up at Super U in nearby town first. Was going to stay for two nights but extended it to four nights as we loved the place. Highly recommended! The toilet block was dirty and never cleaned during the 3 days we spent there. The toilet floor had rubber matting on it which is unhygienic. You could see dirt under the matting and must harbour germs as it was never lifted to clean underneath. The bar and restaurant were closed although the ACSI book states it should be open. The ASCI book needs up-dating. I dislike being misled like this. If facilities are closed then the price per night should be halved. It was the third time we have visited camping Au Soleil d’Oc, a mistake this year. We have rented a small bungalow for a period of 1 week, called ‘comfort cottage’. The cottage was not ok: many lights did not work, boiler did not work properly (cold water during showering), the bed was completely worn out and it smelled like …..
After our complain the promised to credit and to solve the issues as soon as possible during our 1 week stay. It took 5 days before an employee visited us to repair some of the lights, other issues were not solved at all. Until now we have not seen the promised money on our account, and it is completely silent, family Grafeuil is not responding at all. All in all a true disappointment, mainly due to the fact that this camping was previously very much a service oriented, customer focused small camping. Now it looks messy, a bit dirty, very unorganized with a very unclear role for the personnel. This site was virtually empty when we stayed but that was not a problem. It is a very green verdant site with good size pitches. The new indoor pool is excellent and the staff friendly. Nearby Argentat has a good market on weds and some really good sensibly priced restaurants. All in all we would recommend this to anyone. Wilt u Camping Au Soleil d'Oc boeken of meer informatie? Dat kan middels onderstaande gegevens. A20 afslag 45. De D1120 Uzerche-Tulle-Argentat. In Argentat D12 richting Beaulieu, in Laygues (na 3,5 km) links over de brug, direct weer links. 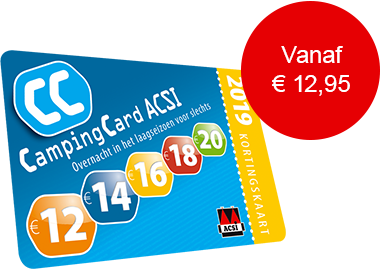 ACSI Eurocampings stuurt uw informatieaanvraag door naar "Camping Au Soleil d'Oc".